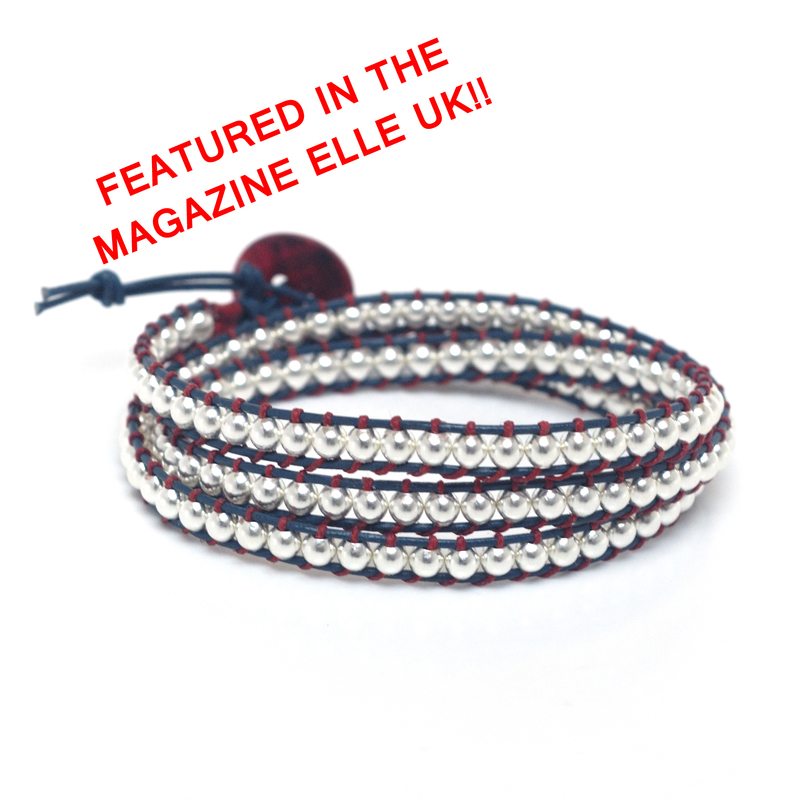 .FEATURED IN THE MAGAZINE ELLE UK!! 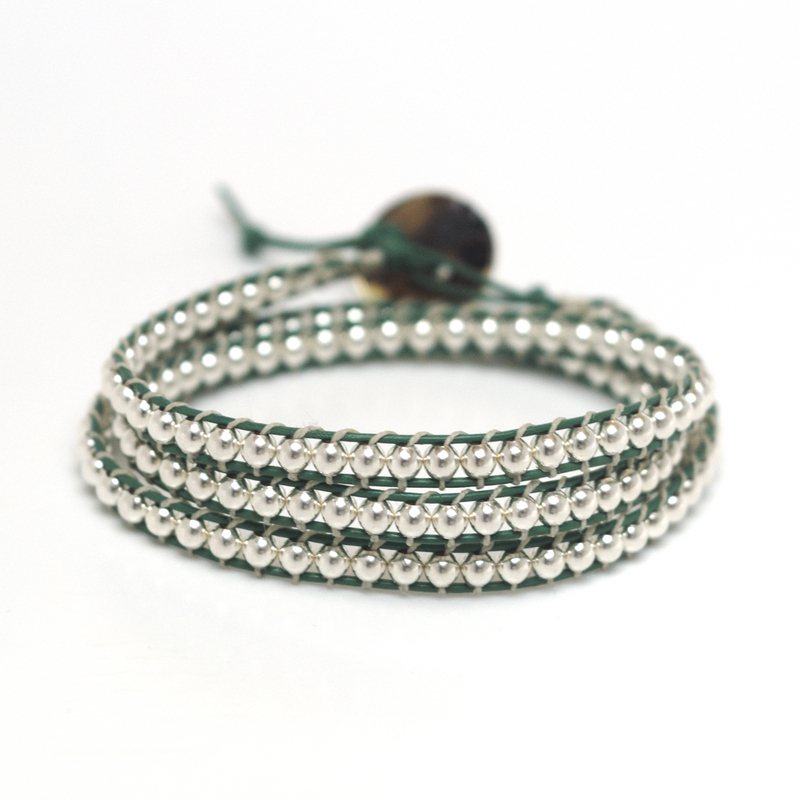 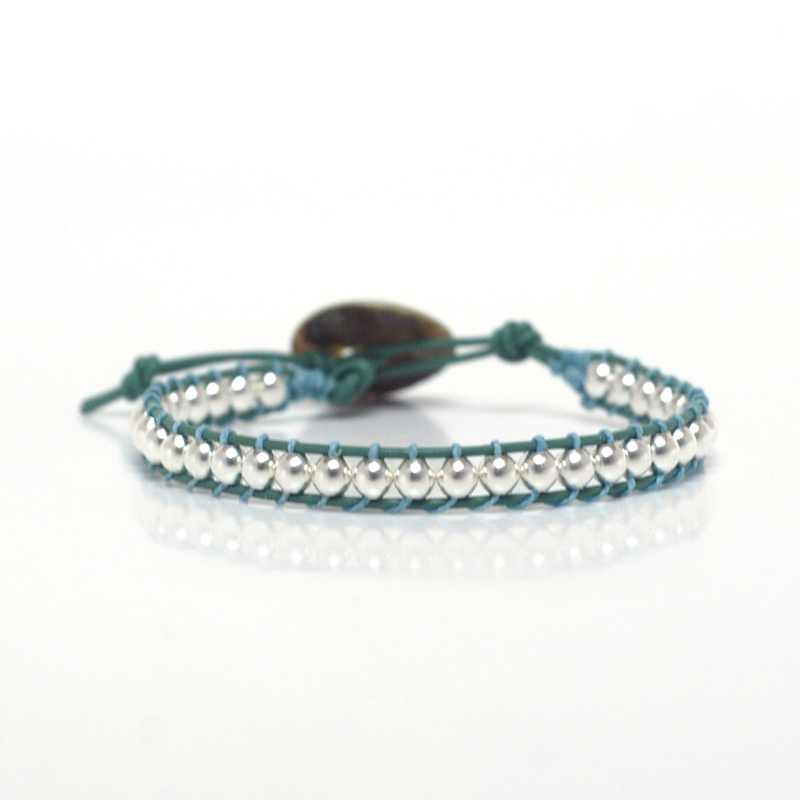 Beautiful leather bracelet with 4mm sterling beads. 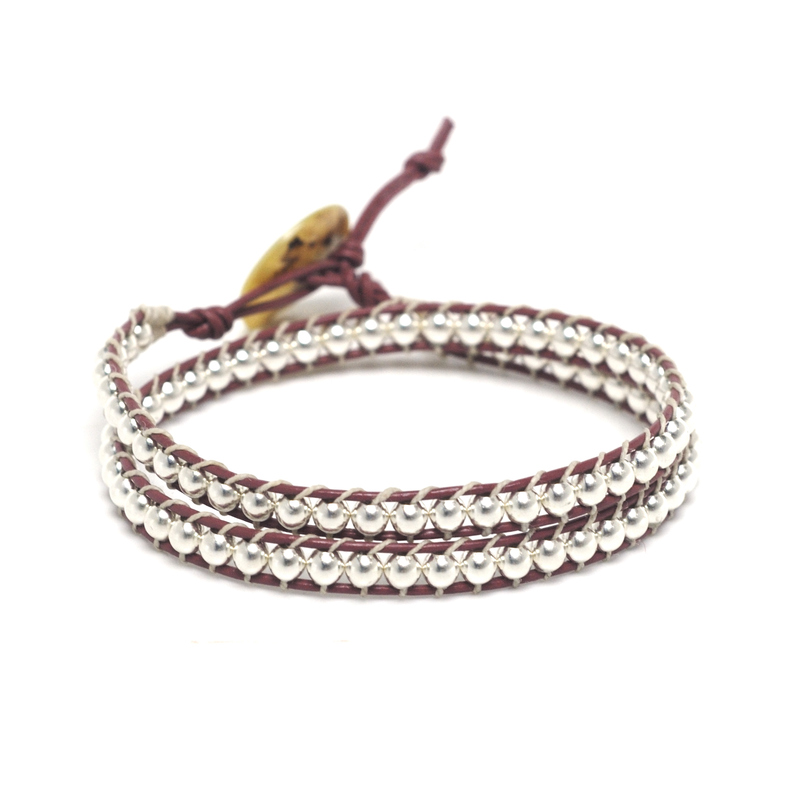 This already very popular bracelet in LA California, is a real jewelry piece, with all the trend and beauty of sterling silver. 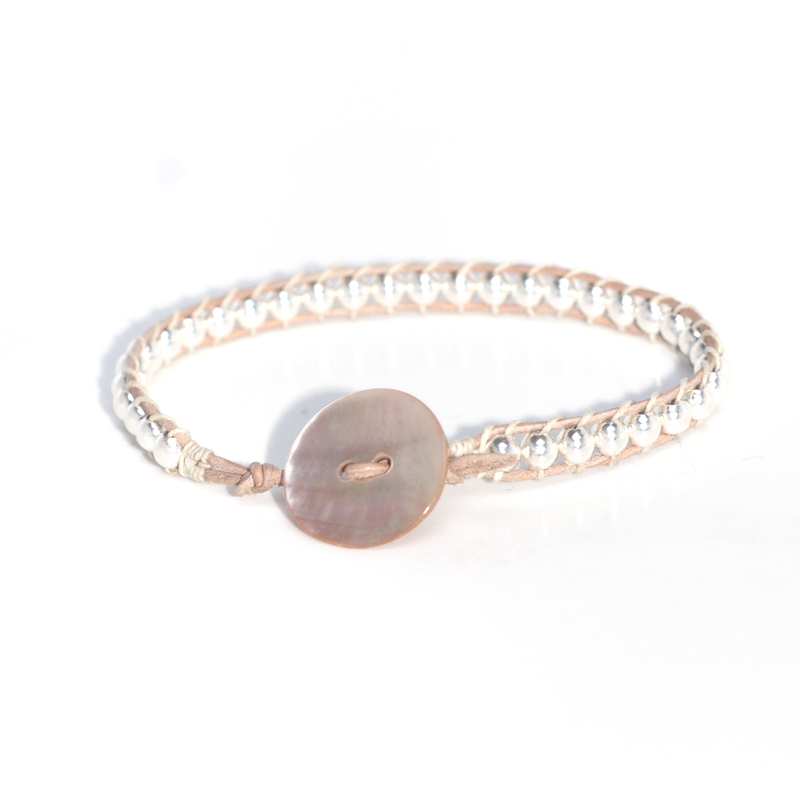 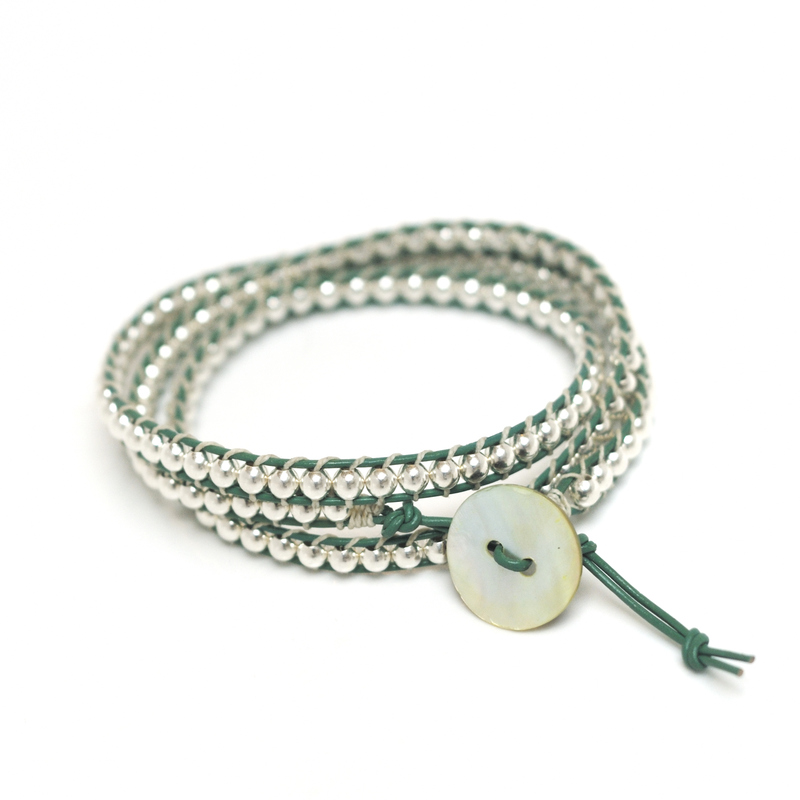 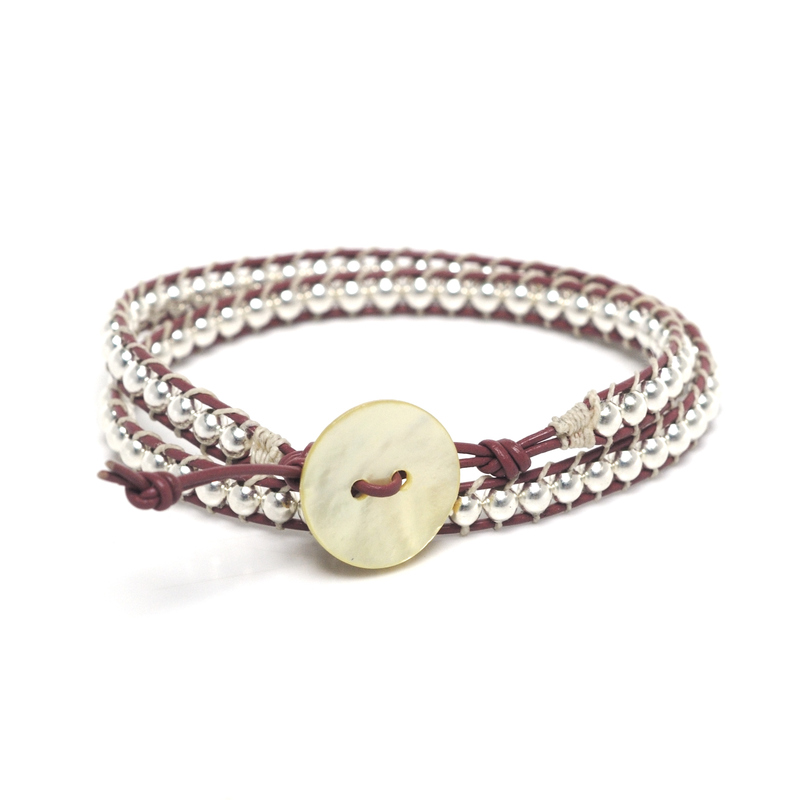 The bracelet’s lock is a gorgeous 18mm Mother of Pearl Button. 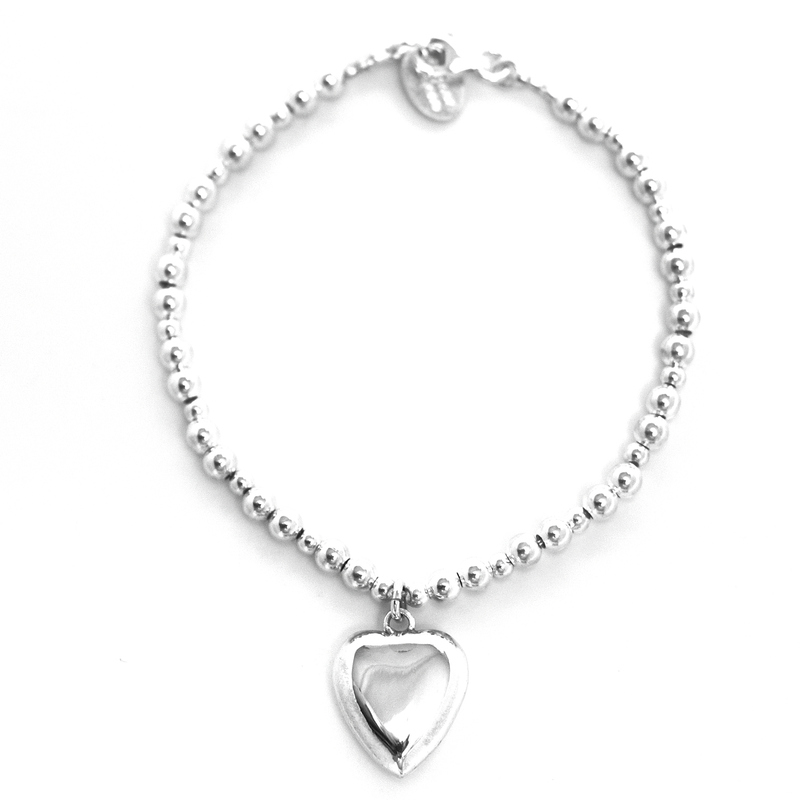 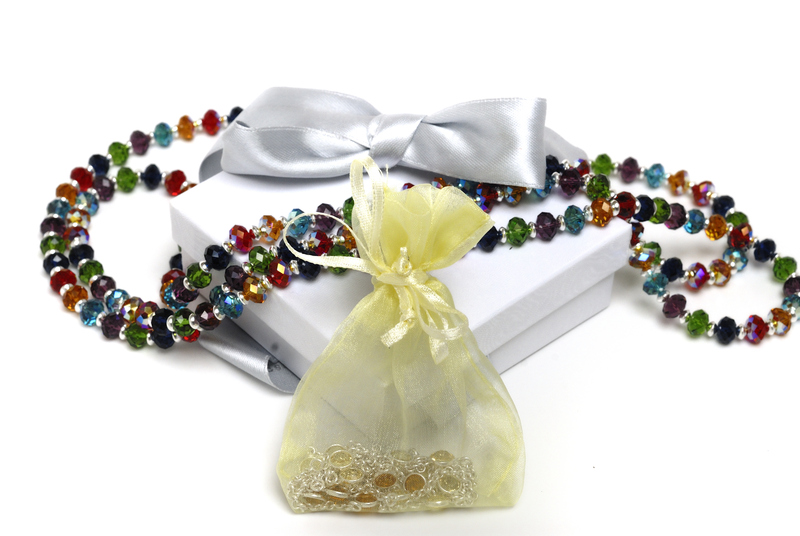 The size of the bracelet can be altered on request. 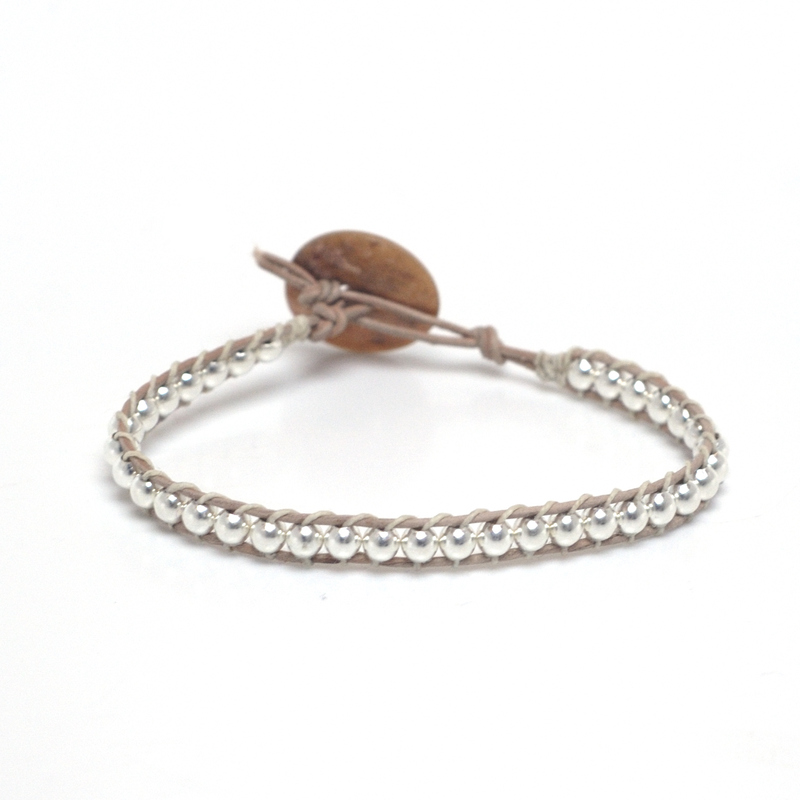 Sorry the bracelets were too successful and are no longer available!! 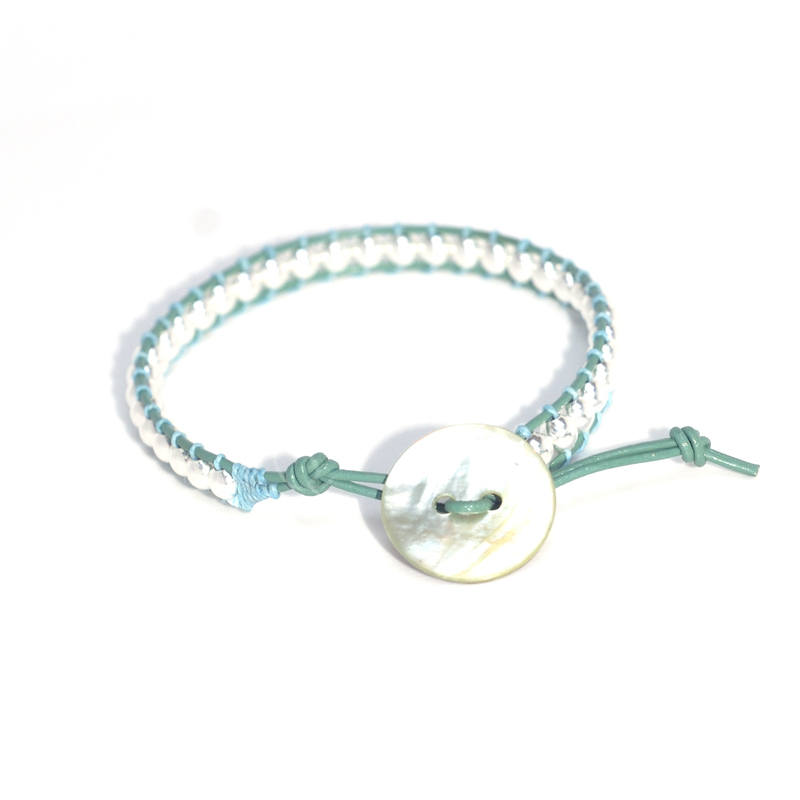 60% off, triple blue, size M/L, button has a tiny chip on it.